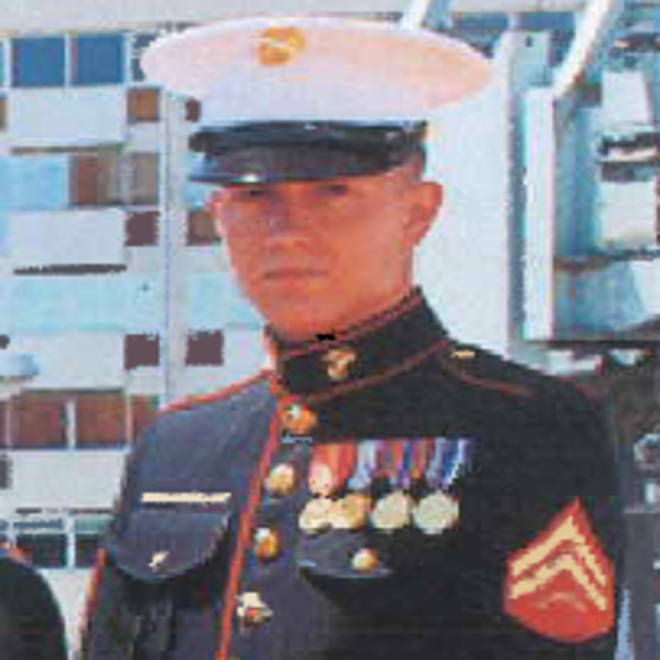 U.S. Marine Sgt. Brian LaLoup, 22, had his heart removed following an autopsy in Greece. His family says the heart was illegally removed and has now gone missing. The family of a U.S. Marine who committed suicide inside a U.S. Embassy in Greece says their son was buried without a heart, after the Greek government performed an illegal autopsy on his body and “harvested” the organ. Craig and Beverly LaLoup, of Coatesville, Pa., filed a lawsuit in federal court on Friday against the U.S. Department of Defense, U.S. Navy and U.S. government for negligence, emotional distress and alleged mistreatment of their son’s body. U.S. Marine Sgt. Brian LaLoup, who was stationed at the U.S. Embassy in Athens, Greece, shot himself following a night out drinking in the Greek capital on Aug. 12, 2012, according to the court filing. The 22-year-old allegedly had been at an off-duty party when he told a fellow officer he was considering ending his life. “I don’t have anyone who loves me,” he allegedly said. He then apparently told the officer he was planning to shoot himself in the face with a shotgun. That officer notified a superior, listed in the suit as Staff Sgt. Martinez, about Brian’s intentions. But instead of getting him medical care, the commander allegedly took him out to drink more – a violation of Marine Corps protocol, the lawsuit claims. Later that night, Brian went into an unlocked room inside the embassy, where weapons were stored, and committed suicide. According to court documents, he was visibly drunk and distraught and passed a guard on his way through the building. Brian was taken to an Athens hospital and pronounced dead. The family says his body was left unguarded and because of that, the body was moved to a Greek morgue where, several days later, an illegal autopsy was performed. It was during that autopsy that Brian’s heart was removed, according to the complaint. The sergeant’s body was flown back to the United States and upon arrival at Dover Air Force Base, a second autopsy was performed. The LaLoups say that’s when officials realized the heart was gone. However, the family claims they were never told their son’s heart was gone until after he was buried. According to the lawsuit, the family said they were told only parts of their son’s scalp were missing and they didn’t realize his heart was gone until after another officer told them “by accident." “He extended to me a piece of paper as he stated it was his heart that was missing. I asked him why were we told it was parts of his scalp. His reply was, ‘that they were not going to tell us because that is not something you tell a grieving mother,’" Beverly LaLoup stated in the filing. After the LaLoups lodged complaints about the situation, the lawsuit claims the Greek government sent a heart they claimed was Brian’s to the United States. However, DNA testing showed it was not his organ, according to the filing. The heart still remains missing. The couple believes officials violated several protocols and intentionally lied to them about the missing heart, the suit states. They seeking damages in excess of $75,000.